I hadn’t planned to write a blog post today, and I don’t normally use my blog as a soap box. But then I woke up this morning and heard about the #AnimalRightsInTourism campaign. I confess that I’ve never been to the Lion Park. But about four years ago I went to the Rhino & Lion Nature Reserve, not far from the Lion Park, which offers similar activities. I knew nothing about these cub-petting programs at the time, but while I was in the reserve I saw a couple interacting with a tiger cub and felt really unnerved. First, the cub looked way too big to be interacting with people. Second, the keeper in the enclosure was handling the cub very roughly, slapping it hard when it got too playful with the guests. And third, I couldn’t stop thinking about what kind of life that cub was going to face once it outgrew its babyhood job. 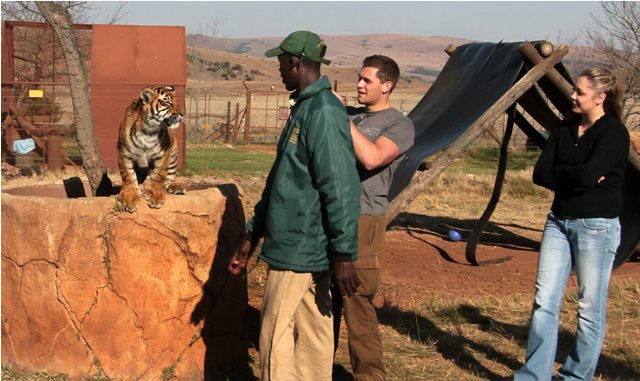 A tiger cub at the Rhino & Lion Nature Reserve in 2011. I wonder where that cub, which would now be a massive tiger, is today? It’s been well documented that the cubs involved in these petting programs — which exist all over South Africa and are 100% legal — are frequently sold into the canned hunting industry. Canned hunting farms — which are also all over South Africa and totally legal — buy up captive-bred animals at auctions, or breed the animals themselves, and then charge big bucks for tourists to come to their farms and “hunt” the animals. I’m not against hunting in general, although why people enjoy shooting animals and watching them die is beyond me. Many of my friends and colleagues will disagree, but I think hunting can be done ethically and I also believe that ethical hunting brings big financial and ecological benefits to local communities in South Africa. But I am against canned hunting and cub-petting, as well as any tourism activity that puts human beings into physical contact with wild animals. This includes elephant-back safaris, which my friend Kate wrote about on her blog today. As far as I’m concerned, South Africa’s tourism industry would be better off without these activities and I believe they should be banned. I have one more confession. A couple of years ago I was invited on a media trip to a high-end private reserve in South Africa’s Waterberg region. During that visit, I pet a pair of cheetahs. I justified my actions back then by telling myself that these cheetahs, who had been hand-reared by the couple who managed the reserve, were family pets and would probably never be sold to a canned hunting farm. But I realize now that my justification was wrong. Those beautiful cheetahs were purchased at an animal auction that almost certainly catered to the canned hunting industry. 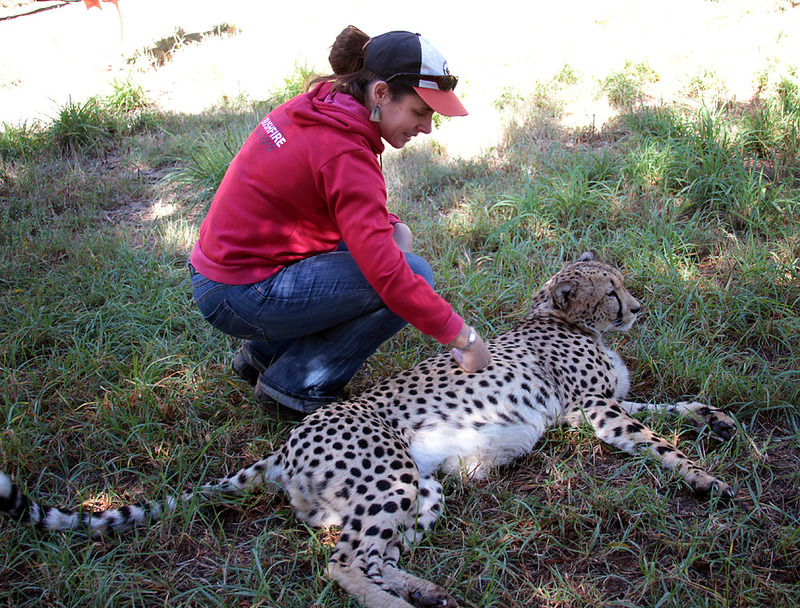 By petting those cheetahs I was indirectly supporting that industry, and that was uncool. Me and a cheetah. Cute, right? But I’ll never do this again, no matter how much peer pressure I feel. Blood Lions, a documentary about the canned hunting industry in South Africa, is premiering this evening in Durban. I watched the two-minute trailer earlier today and couldn’t get through it without crying, so I don’t think I’ll watch the whole film. But the Blood Lions release is the main motivation behind today’s #AnimalRightsInTourism campaign. To show your support, please follow Blood Lions on Facebook and Twitter and voice your own opinions about unethical animal practices using the #AnimalRightsInTourism hashtag. This photo and the one at the top of this post were shot at Lionsrock, a sanctuary for formerly abused big cats in South Africa’s Free State. I visited Lionsrock in 2011. Also, please don’t pet cubs. The end. Good post, Heather. The more people who are made aware, the better. And big of you, too, to admit that you’ve also been pulled in by the lies in the past. No more! Thanks Roxanne. I have a feeling that people outside of SA really don’t know what’s happening at these places. Hopefully all the blogging and tweeting today will help spread the word worldwide and make a dent on the income that these outfits are pulling in. Must admit this whole thing makes my blood boil. When I asked Ed Hern of the Rhino and Lion Park about the white tiger in an enclosure outside his house that appears to be distressed and has no water as in a pond (tigers love to swim) he told me it is none of my business and that he is in the process of changing all that. That was two years ago. One of the tour guides also told me the lion and tiger cubs that are petted go to auction and they have no idea who buys them. I wish everyone would boycott these places. I think I remember seeing that same tiger when I was there four years ago. So sad. Funny enough, I saw the trailer also (wish I could go but sadly it’s not the day for me) and coincidentally I just started reading Born Wild today, a book set in Kenya about a guy who tries to rehabilitate “tame” lions into the wild. 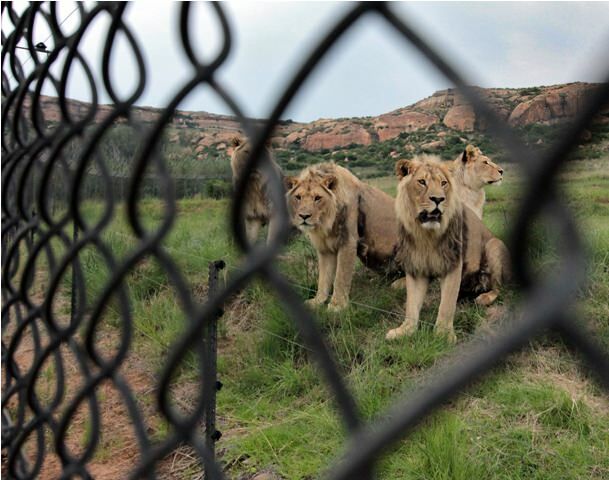 I agree with you wholeheartedly about the canned lion industry — funny enough, they are actually quite “cheap” (R10,000 – 20,000) at an auction and many farms don’t want them because they are hard to maintain and permits to get them can be quite cumbersome as the fences they need are quite expensive. I visited the Lion Park 14 years ago on my first (and only) visit to Joburg (I’ll get there someday) and vowed to never return to the Park. I hated it. I have also done a cheetah interaction and an elephant interaction in Zululand and I have such mixed feelings about them. After seeing lions in the wild, I wholeheartedly agree, no don’t support cubs in cages. Get them out into the wild. It’s really hard to resist these activities, it’s kind of comforting, but also sad, to know that I’m not alone in having fallen for it. An wow, amazing that it costs so little to buy a lion. I am unfortunately also guilty! 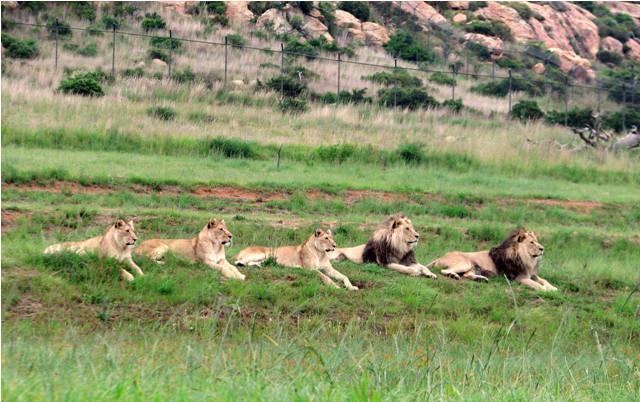 We visited the Ukutula Lodge and did all the touristy things like walking with the lions etc. Now I am deeply ashamed of it and I removed my profile picture on Facebook petting a lion cub. Education is everything! Please keep on informing innocent tourists like me!!! I can only chime in as well. With four children, visiting the lion park and petting lion cubs was just too tempting, and I too have meanwhile learned much more about canned hunting and where these cute cubs go when they grow up. I applaud you for taking this up to educate your readers, as I”m sure you have quite a big following in AND outside of South Africa. Just like rhinos and shark fins, this will ultimately only improve through a vigorous education campaign. Yes. It’s funny, I never thought before about the kind of impact that a group of bloggers could have on an issue like this. But I think we’re making a difference! The travel industry definitely listens to travel bloggers these days. Thanks for your support Heather! I think we have all been lured into something of this at sometime in our lives, especially travelling as much as we do. Education is everything, and as bloggers I think we are on to something here! Can’t even read your post without sniffling. But thanks for writing it. Heather, thanks so much for this post. I had absolutely no idea that this even happened. I have patted cheetahs and baby lions in places in South Africa and feel sick knowing that this is how they are treated. Never again. And I’ll be encouraging people I know to avoid it as well.